So you purchased a brand new DSLR or EVIL camera, you have been happily taking pics for a while now and everything has been going really well, so easy infact you are wondering why people get scared of such cameras. Fast forward a little bit, and you have just downloaded a set of pictures from an outing where you have been photographing outside on a gorgeous sunny day, you notice that there are some dark splotches on the images, and they seem to be in the same place every image they dont really affect the image but they are noticable in each image and its annoying. You look at your lenses remembering you changed lenses during the day, but there is nothing on them what are the splotches, it seems that some dust has gotten onto the sensor. its not the end of the world, the dust can be removed from the sensor with not too much pain. 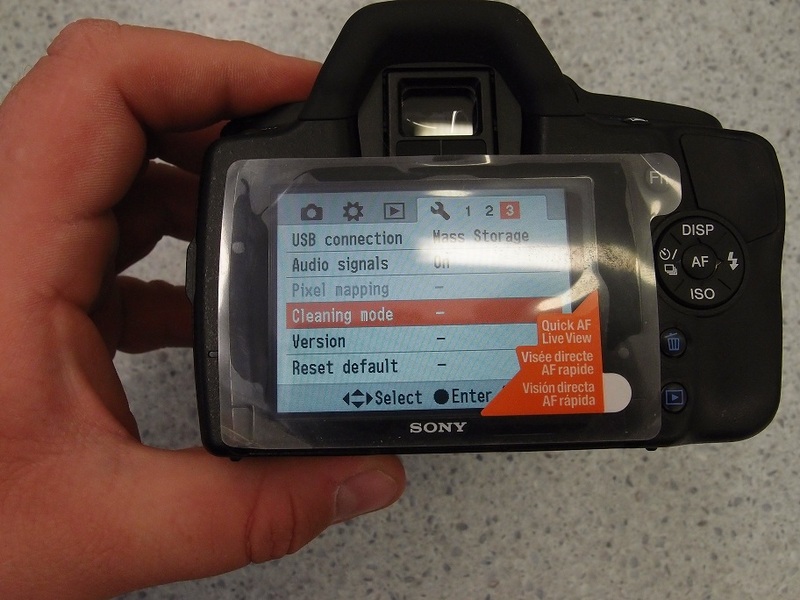 There are several options for cleaning a sensor, some are extremely complicated, and others are really really easy. Im going to focus this tip blog on the method i personally use simply because its the one i know the best. I use the system devised by a company called Visible Dust This system uses a non static, no lint soft fabric swab and a hi content liquid. 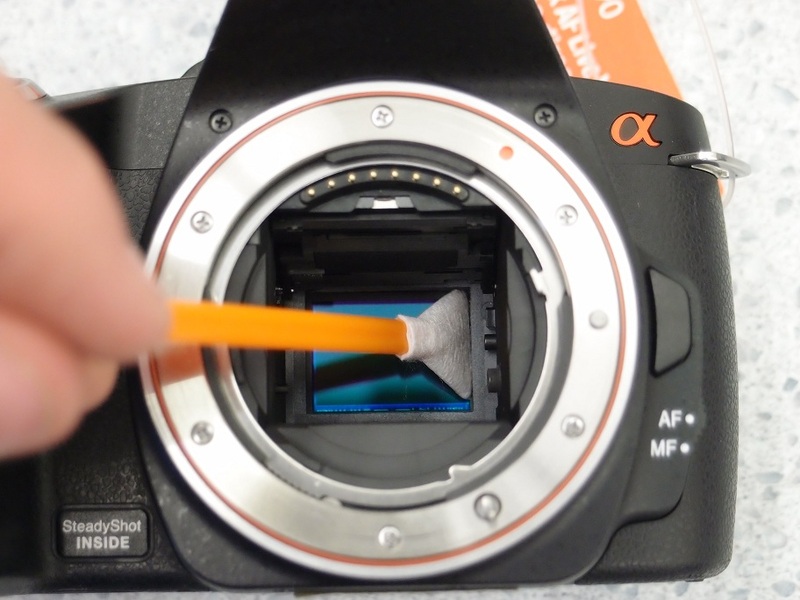 Visible Dust make the swabs in 2 sizes, APS-C and Full frame, these sizes allow the swab to cover the entire sensor and allow one or 2 passes to pick up all but the most stubborn foreign objects. The APS-C swab will also perfectly cover the sensor in the 4/3 and micro 4/3 systems. 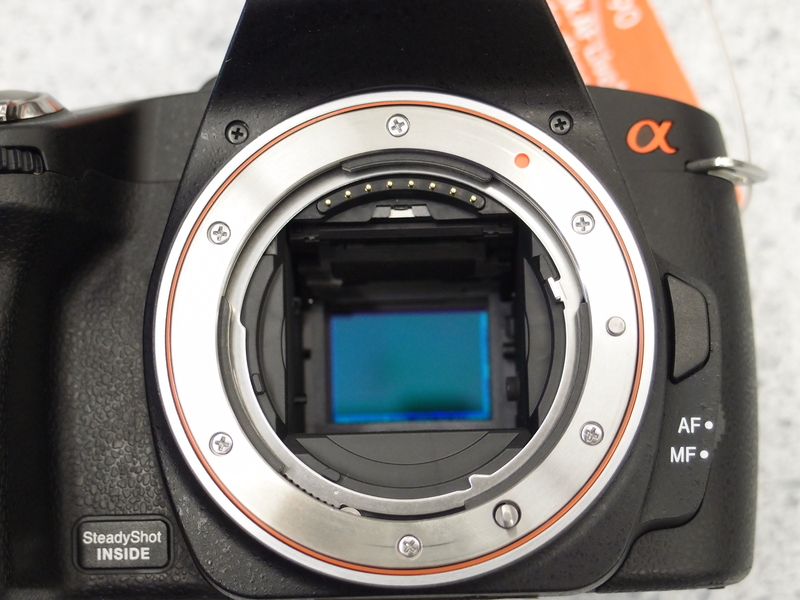 It is pretty simple to clean the sensor, but there are a couple of things to think about. 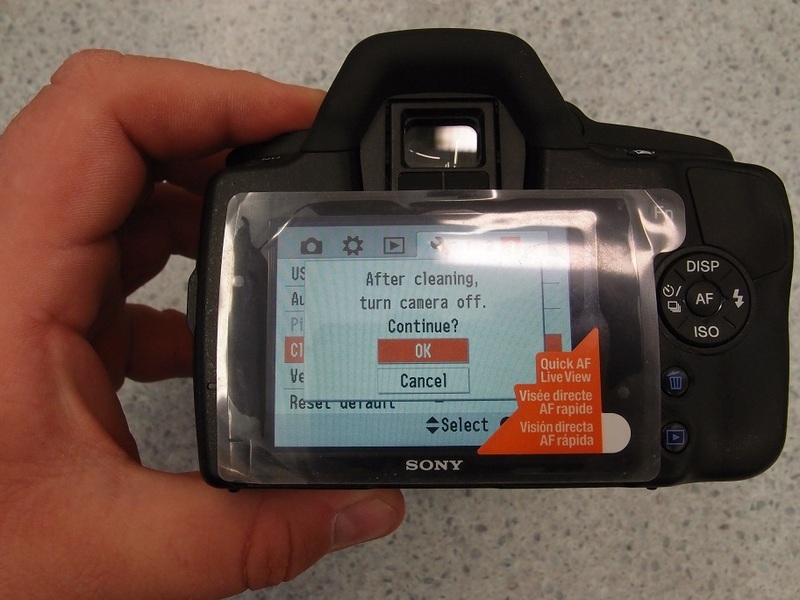 If you decide to clean the sensor yourself, make sure you have everything ready to go, and your camera has a fully charged battery or is connected to the mains power by AC adapter. Take a test pic using the Manual mode, stop the lens down to f16-f22 and a fast enough shutter speed to get a reasonably well exposed image against a PLAIN LIGHT scene such as a white wall or the blue sky, this will show the dust best. 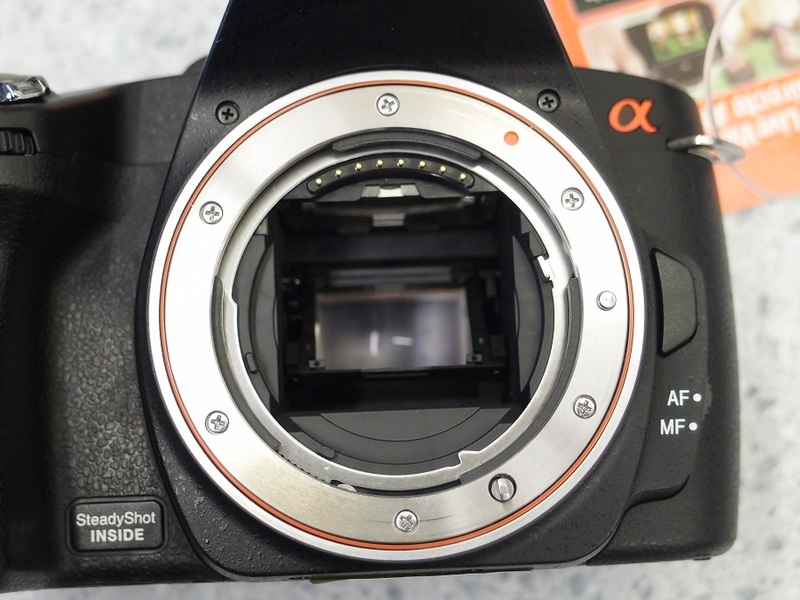 If you are using a mirrorless camera such as an Olympus Pen or Sony NEX, you do not need to worry about finding the cleaning mode steps as there is no mirror to get out the way.